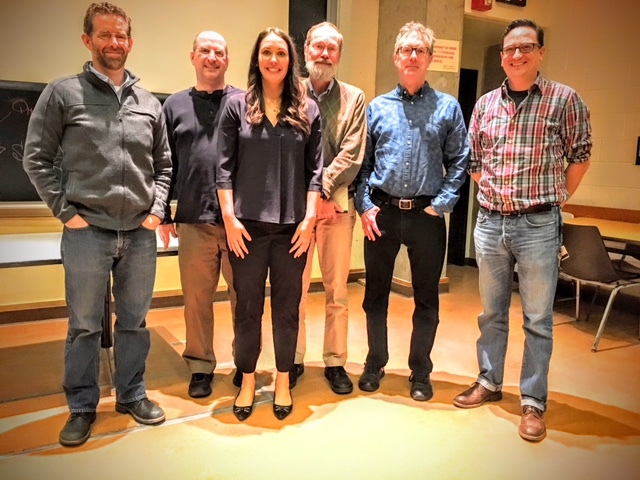 Dr. Cara Brand with her PhD committee: Profs. 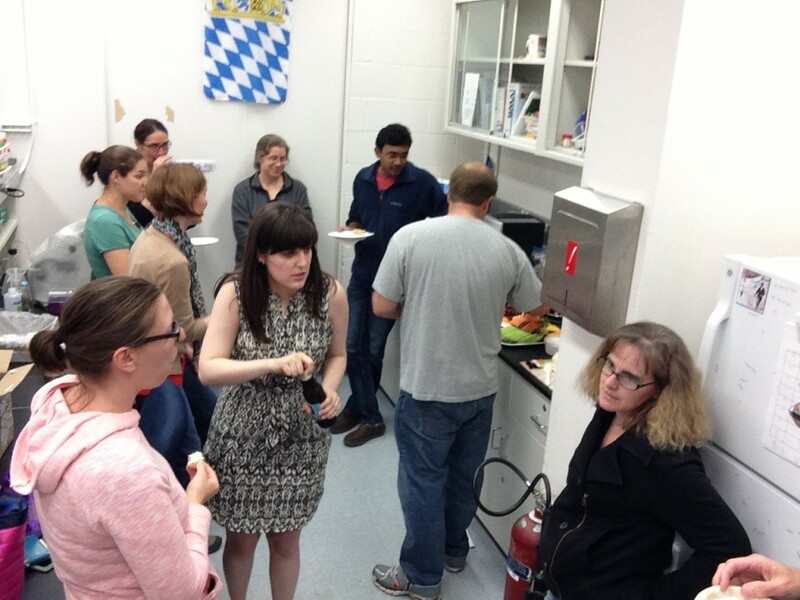 Josep Comeron, Amanda Larracuente, DCP, Elaine Sia, Carmala Garzione. 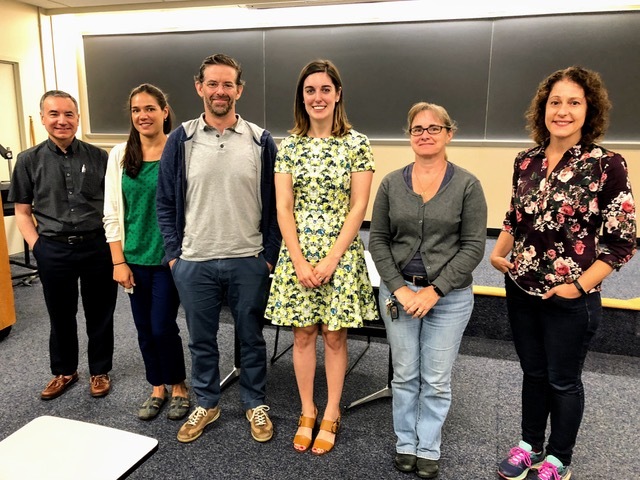 Dr. Emily Landeen with her PhD committee: DCP, Profs. 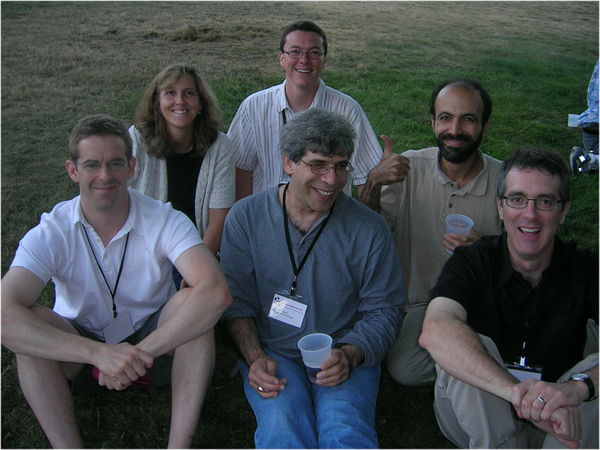 John Parsch, Tom Eickbush, Allen Orr and Doug Portman. 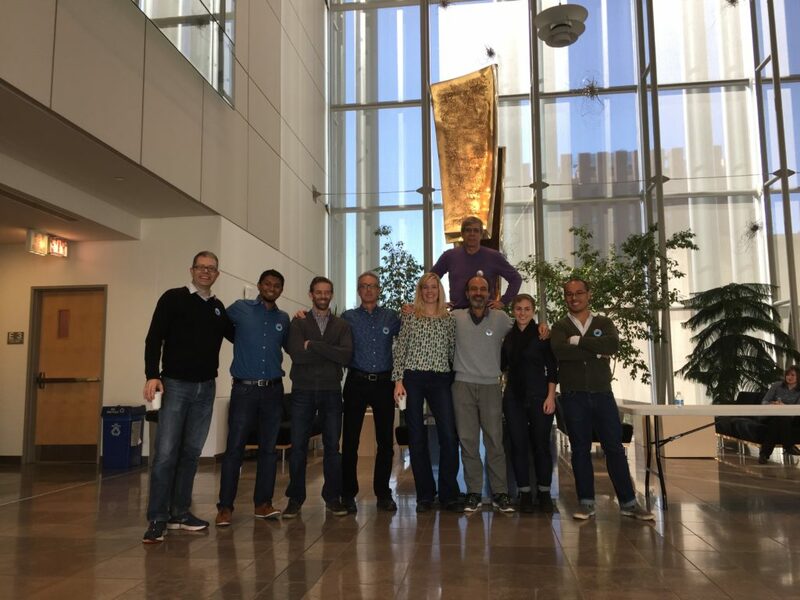 Coynefest 2016: Corbin Jones, Nitin Phadnis, DCP, Allen Orr, Amanda Moehring, Mohamed Noor, Katharine Korunes, and Daniel Matute– with Jerry Coyne. 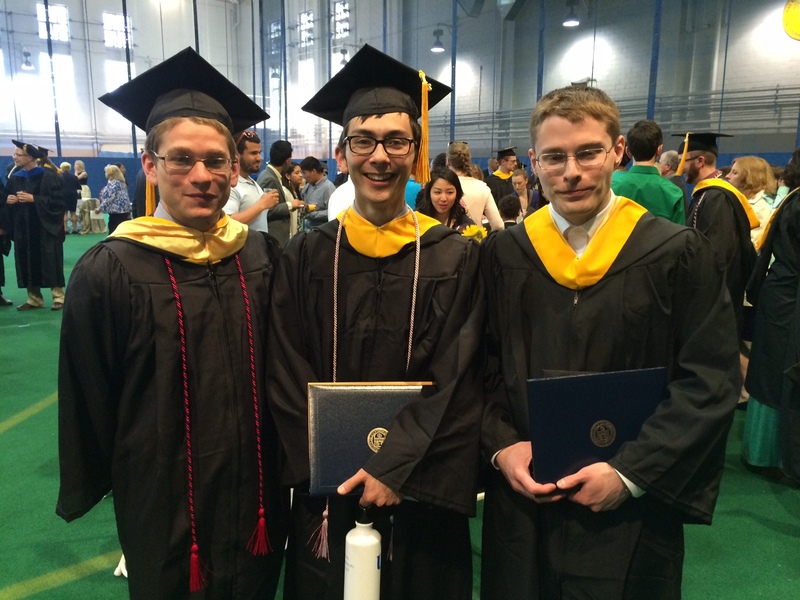 Our three star undergraduate researchers— Justin Roncaioli, Ben Goulet, and Nick Love— on graduation day, May 2014. 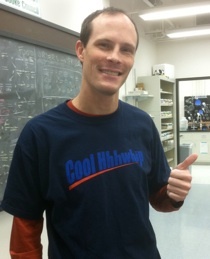 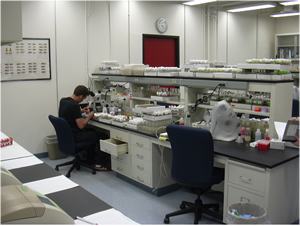 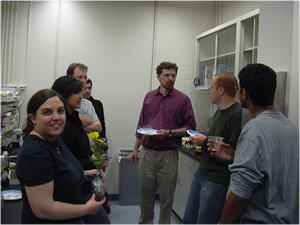 Cara passes her PhD qualifying exam – June 2013. 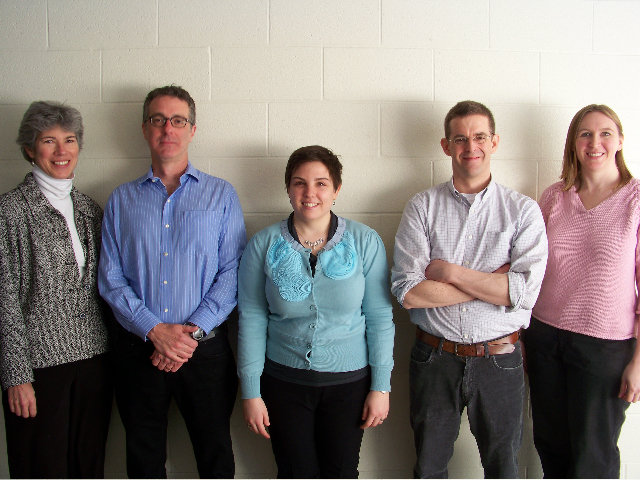 Dr. Victoria Cattani (2012) with her PhD committee: Dean Margaret Kearney, Allen Orr, Vicky, Daven, and Trisha Wittkopp. 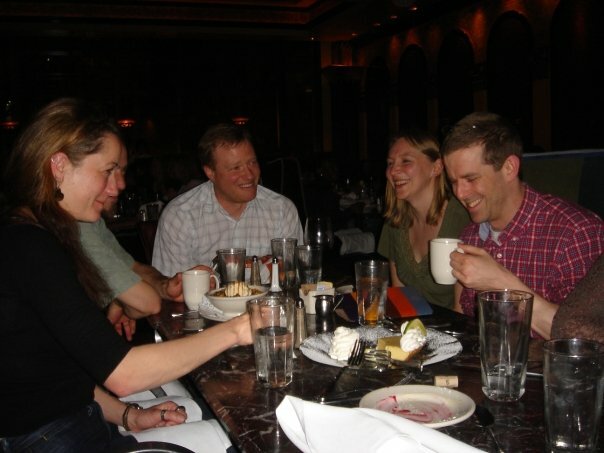 Fly Meetings, Chicago 2009: Doris Bachtrog, Brian Lazzaro (behind Doris), Todd Schlenke, Trisha Wittkopp and Daven. 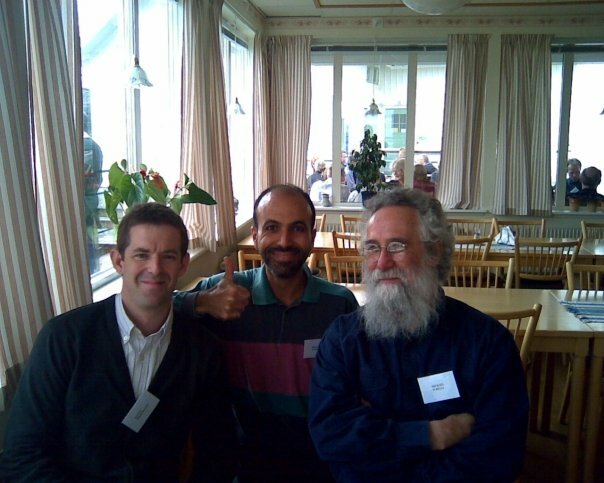 “Origin of Species — 150 Years Later” meeting, 2009, Fiskebäckskil, Sweden: Daven, Mohamed Noor and Michael Turelli. 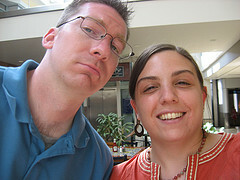 J.P. Masly (Oklahoma) and Vicky at the 2008 Evolution meetings in Minneapolis. 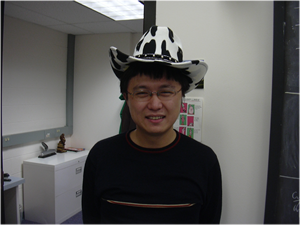 Shanwu and Vicky pass their PhD qualifying exams! 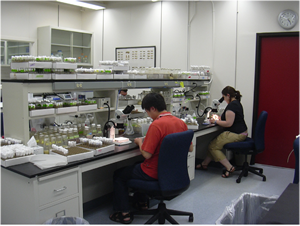 Pierre, Shanwu, and Vicky — pushing flies.